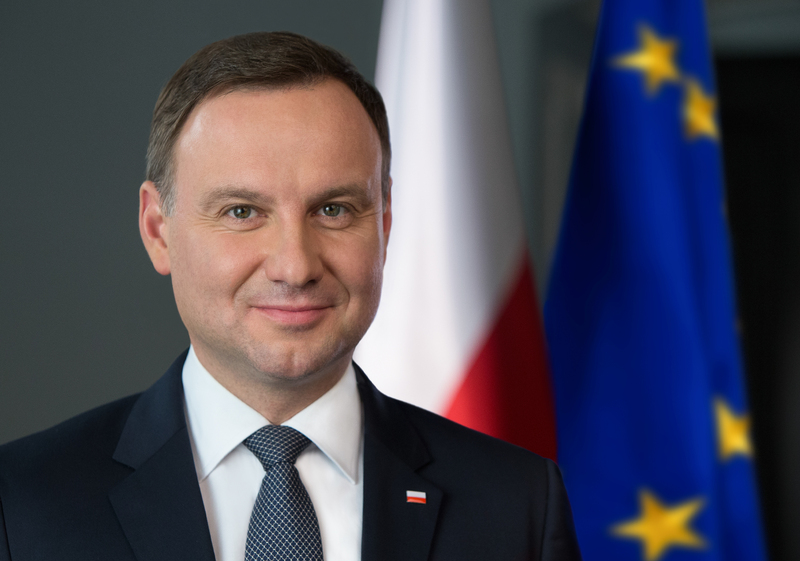 Polish President Andrzej Duda yesterday (7 January) signed into law a controversial bill handing the conservative government control of state media, despite EU concern and condemnation from rights watchdogs. Critics see the move as the latest bid by the ruling Law and Justice (PiS) to consolidate power and render ineffective any organ that could keep it in check since taking power late last year after eight years in the opposition. “It’s important to the president that state media be impartial, objective and credible,” presidential spokeswoman Malgorzata Sadurska told reporters, claiming that the media had been flouting those guidelines. “That’s why the president signed into law the radio and television bill” that the conservative-dominated parliament approved last month, she said. Under the new law, senior figures in public radio and television will be appointed – and can be sacked – by the treasury minister. They will no longer be hired through contests organised by the National Broadcasting Council. The new legislation will also see the current managers and supervisory board members of Poland’s public broadcasters fired with immediate effect. “It’s the first step in a media takeover. I’m afraid the next laws will somehow limit the freedom of non-state media,” said Katarzyna Lubnauer, a lawmaker from the liberal Nowoczesna party. The PiS had earlier said it plans to turn the PAP news agency and public television and radio – all currently state-owned businesses – into national cultural institutions like the opera, or Warsaw’s National Museum. The governing party, led by former Prime Minister Jaros?aw Kaczy?ski, already raised alarm in recent months by replacing the heads of the EU member’s secret services and reforming the constitutional court, the latter despite mass protests and opposition complaints that the changes threatened judicial independence. Duda, who was elected in May and is backed by the PiS, also signed into law Thursday a public service bill that allows the conservatives to hire top state institution officials without holding competitive exams — another measure slammed by the opposition. The Council of Europe, the continent’s top human rights watchdog, had urged Duda against signing the media law. The director general of the European Broadcasting Union (EBU), Ingrid Deltenre, said in a statement she was “dismayed by the president’s decision”. “The fact that the government refused any discussion, or to accept any expert legal advice from the European Commission, Council of Europe or other media expert organisations, appears to reflect its overall attitude towards European institutions and fundamental democratic values,” she said. French Culture Minister Fleur Pellerin said Poland’s new media legislation “profoundly goes against” Europe’s “underlying values”. According to Polish media there is another bill in the works that would terminate the contracts of all state media employees. They could then be rehired if their positions and they themselves were deemed useful. The government’s legal manoeuvres have prompted escalating warnings from the European Commission that it could intervene, including two letters from its vice president, Frans Timmermans, asking Warsaw for information. In an unprecedented move, the Commission is set to debate the state of rule of law in Poland on 13 January, which could lead to potentially punitive measures (see background). European Commission chief Jean-Claude Juncker yesterday denied that Brussels was unfairly targeting Poland over its government’s controversial changes. “Let’s not overdramatise. It’s an important issue but we have to have friendly and good relations with Poland,” he said before news broke that Duda had signed the media bill. Duda, a former MEP, is coming on his first visit to Brussels as head of state on 18 January. 13 January: Commission to decide whether to open a punitive process against Poland. 18 January: Polish President comes for first official visit to Brussels. An ‘Elected’ leader of a Nation signs a law and it’s a problem for the antidemocratic EU but it was OK when the last pro EU government handed out the jobs to Brussels men. Thank god we are leaving. It was just fine for the last government of the Civic Platform party to nominate all members of all pubic bodies and companies with their mediocre cronies. The public media in Poland lashed out hate and despicable lies against the opposition and covered up true reporting with fiction, over an 8 year period. Brussels was fine with that as that is their own standard. What is Brussels doing about state control of the media in Germany with its fictional cover, and cover up, of the mass sexual assaults and robbery of women in Cologne and Hamburg, plus many other incidents that they have stopped being reported? ?